The average price for this game in the past 6 months is $9.99. The game first became 50% off on Nov 22, 2017 at GameStop. Lowest historic price was $4.99 on Mar 14, 2019 at Microsoft. Best Buy puts a big discount on Destiny 2 today. All platforms (Xbox One, PS4 and PC) have dropped to $20. New historic low price. This offer is valid for today only. Great price this weekend as we round up more eBay gems thanks to the 20% off coupon. Destiny 2 on the Xbox One is now only $43.99. At 27% off, this is cheaper even if you had GCU. Free ship. Made the decision to rock out Destiny 2 on the Xbox One? 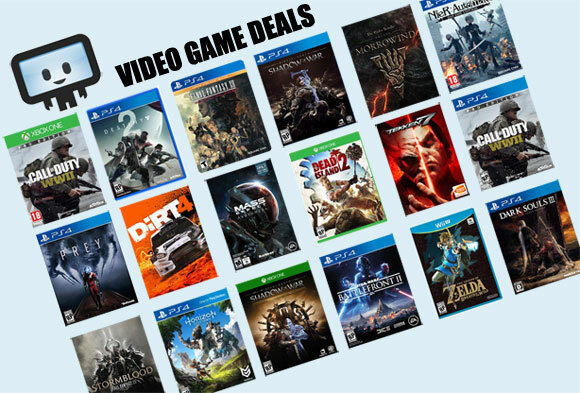 If you want to save $12 because you don't like to pay full price for video game, LivingSocial has a 20% off code expiring tonight that applies for Destiny 2. Shipping is free. The average price for this game in the past 6 months is $29.39. The game first became 50% off on Dec 6, 2018 at Amazon. Lowest historic price was $19.99 on Mar 14, 2019 at Microsoft. The average price for this game in the past 6 months is $29.24. The game first became 50% off on Dec 6, 2018 at Amazon. Lowest historic price was $21.98 on Feb 2, 2019 at NewEgg.